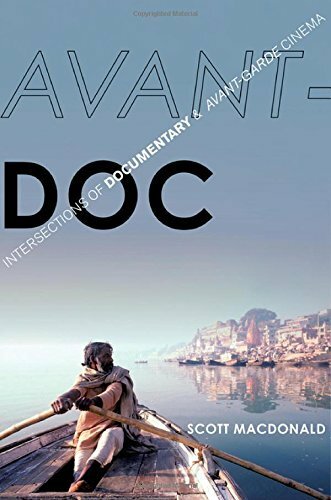 Scott MacDonald explores the cinematic territory between the traditional categories of "documentary" and "avant-garde" film, through candid, in-depth conversations with filmmakers whose work has challenged these categories. Arranged in an imaginative chronology and written to be accessible to any film-interested reader, the interviews in Avant-Doc chart half a century of thinking by inventive filmmakers such as Robert Gardner, Ed Pincus, Alfred Guzzetti, Ross McElwee, Leonard Retel Helmrich, Michael Glawogger, Susana de Sousa Dias, Jonathan Caouette, Pawel Wojtasik, and Todd Haynes. Recent breakthroughs by Amie Siegel, Jane Gillooly, Jennifer Proctor, Betzy Bromberg, and Godfrey Reggio are discussed; and considerable attention is paid to Harvard's innovative Sensory Ethnography Lab, producer of Sweetgrass, Leviathan, and Manakamana. A rare interview with pioneering scholar Annette Michelson begins Avant-Doc's meta-conversation.